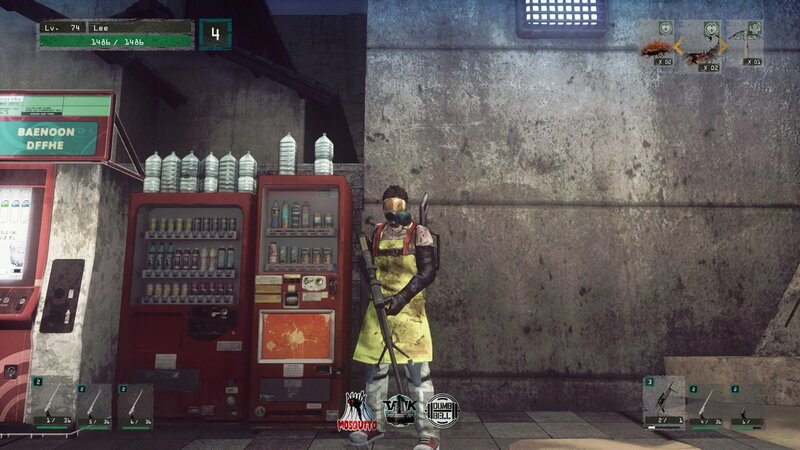 Thanks for your diligent work, Tikhon! 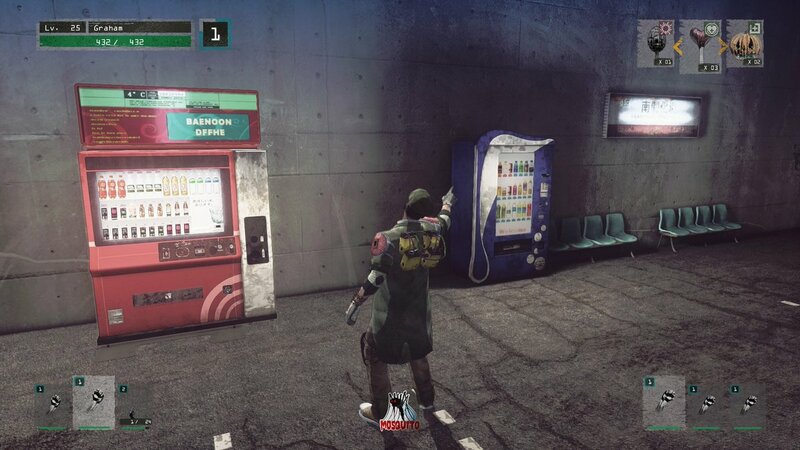 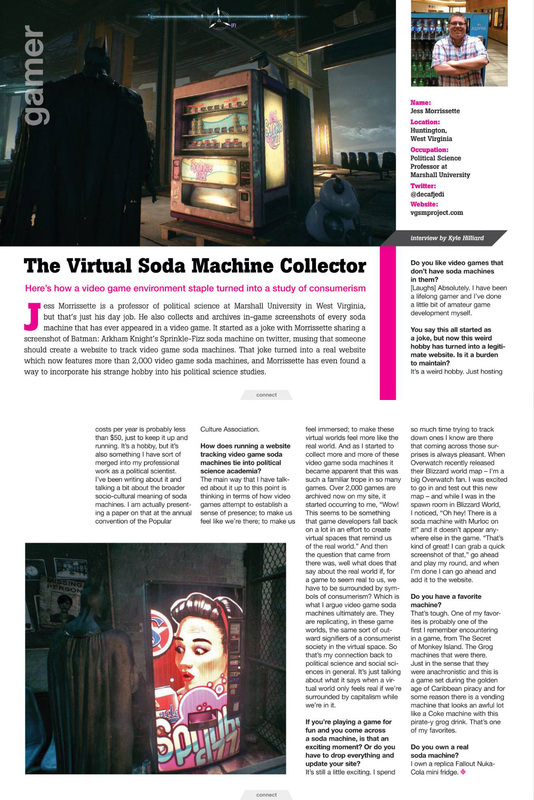 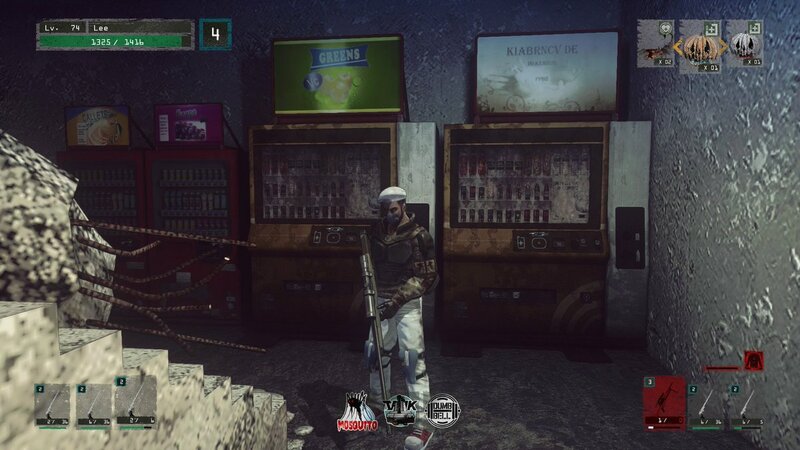 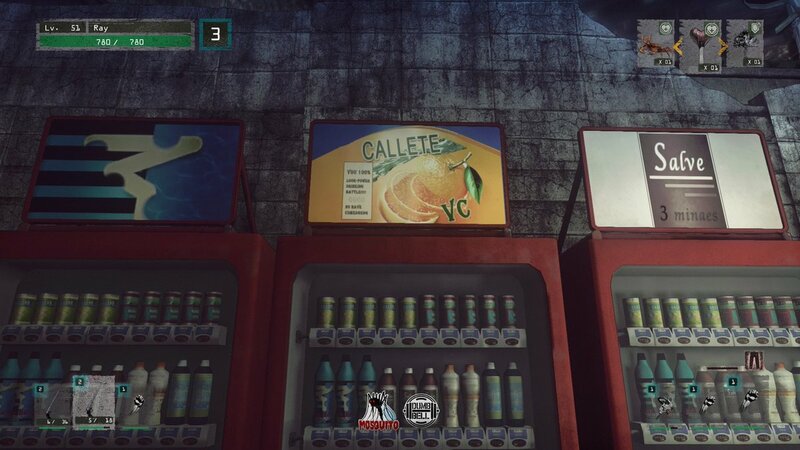 Faced with a difficult choice, Graham throws his support behind the blue soda machine in Let It Die. 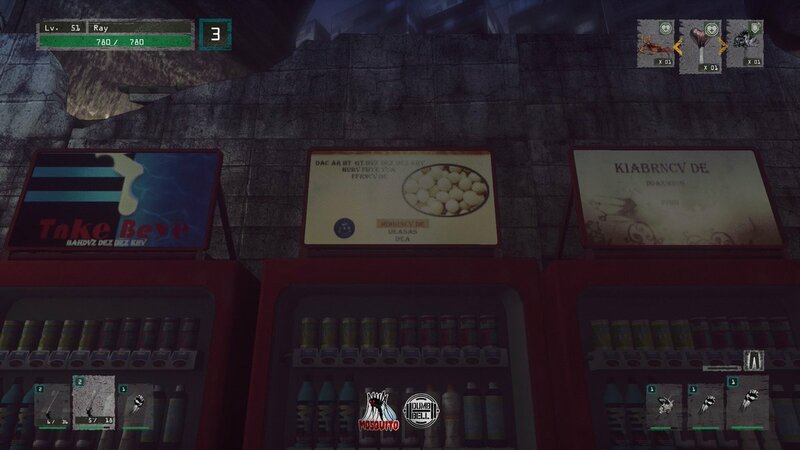 Thanks for the screenshot, Tikhon! 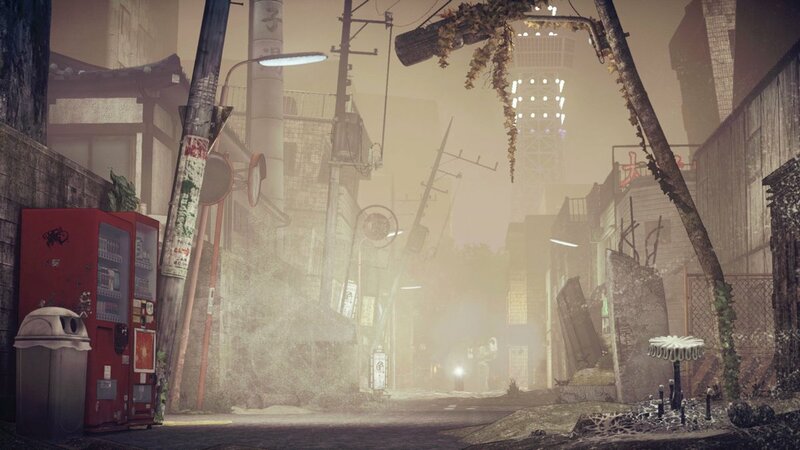 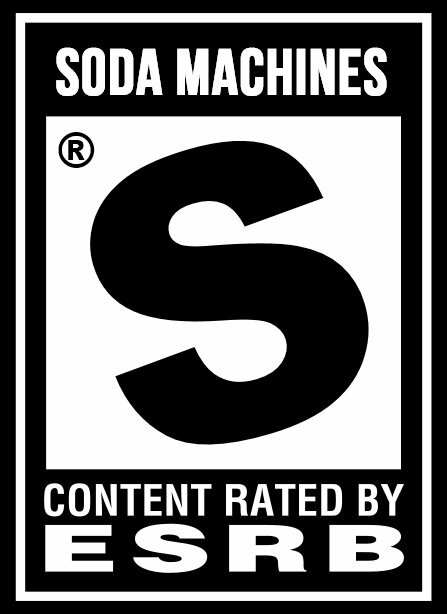 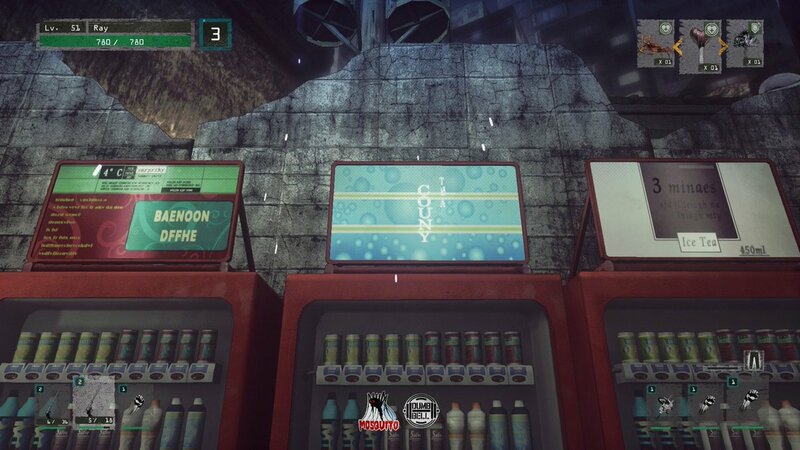 A pair of soda machines appear during Let It Die’s opening cinematic. 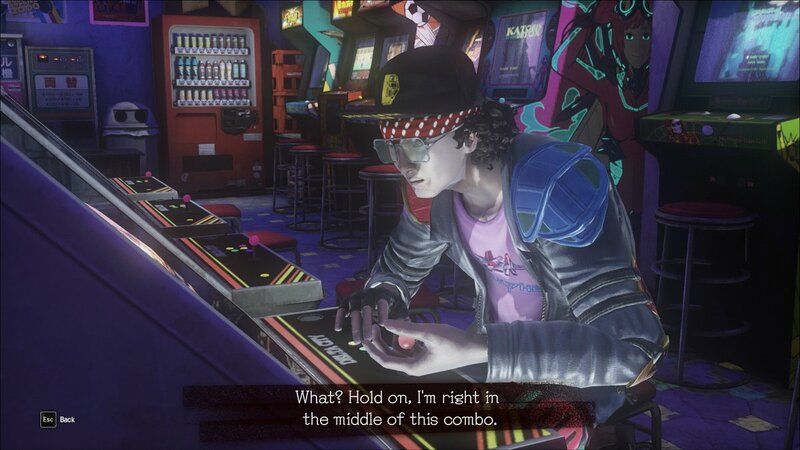 You can visit the arcade later to get a closer look at one of them, but try not to disturb this guy. 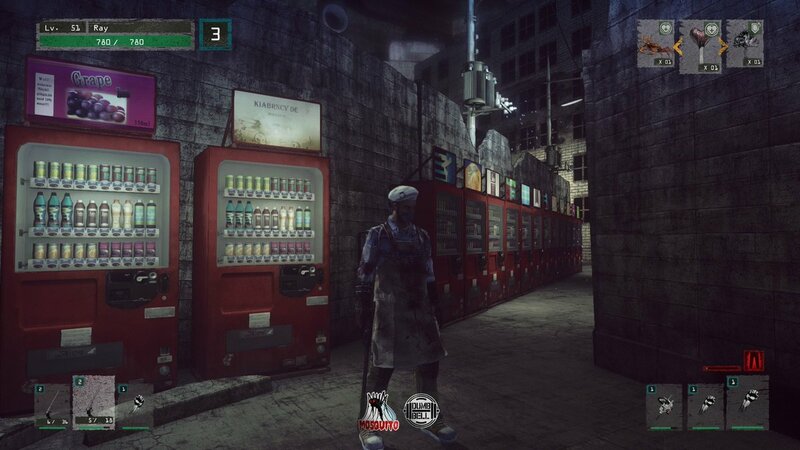 It’s not polite to be a C-C-C-C-Combo Breaker. 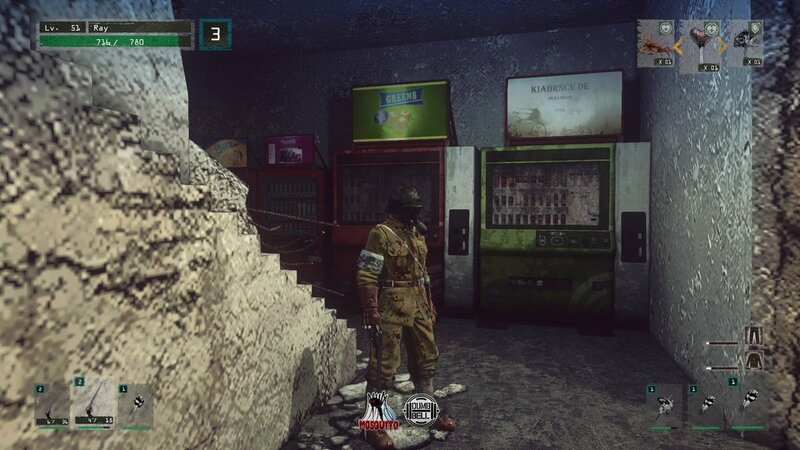 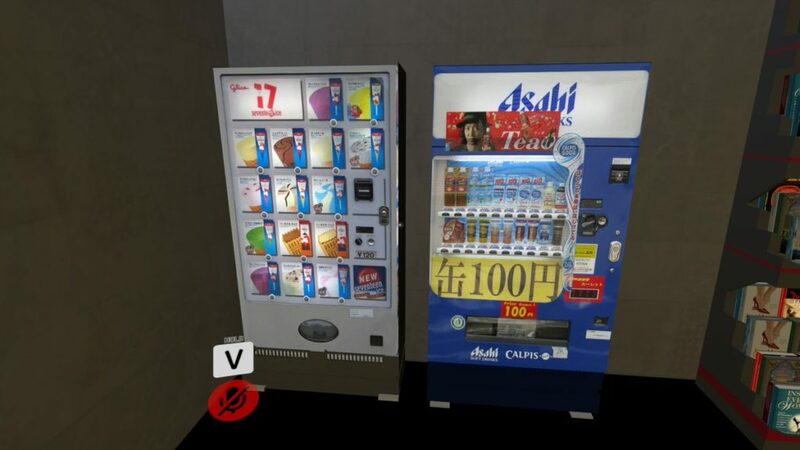 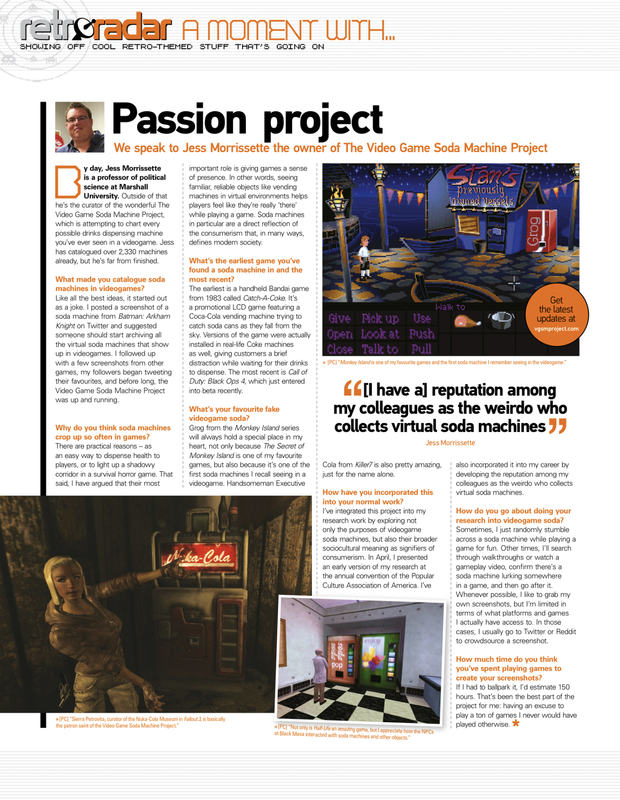 Check out this entry for a better view of the soda machine that’s cut off on the left edge of this screenshot.